On sheer offensive ability alone, Mulhern figures to be the cream of the Rule 5 crop. 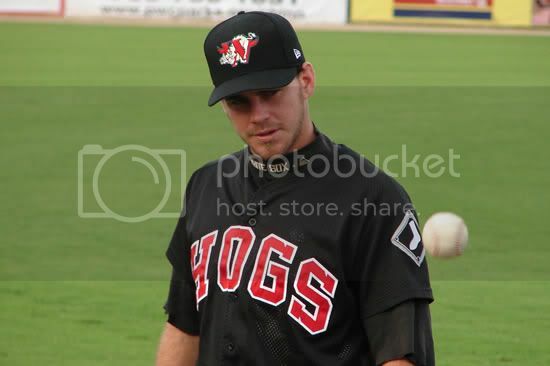 Due to playing through his senior year in college, Mulhern was a tad bit old for the Carolina League, but that was tempered a bit by the fact that 2005 was also his first look at advanced-A pitching. And in that short exposure, Mulhern dominated the pitcher-friendly Carolina League to the tune of .321/.395/.711 with 17 HR in just 159 at bats. RC saw him play three games for Kinston, and he homered in all three, showing power to all fields. When the Indians jumped him a level to AA, he didn't slow down one bit, wrecking Eastern League pitching (another pitcher's league) at a clip of .311/.386/.594 with 15 HR in 244 AB. Mulhern's bat is his ticket, as his defense is questionable, but if the Royals truly want Justin Huber to get more time in Omaha, then Mulhern may be a feasible option, and a good right handed bat off the bench. Sing is another guy the Royals might want to take a look at in the same role as Mulhern. RC only saw a little of Sing in Arizona (where he went 0-for-2), and we are embarrassed to admit we really weren't paying any attention to him. However, Sing, when healthy, has unquestionable power (58 HR the last two seasons between A and AA), and he displays an excellent eye at the plate, posting OBPs of .399 and .404 the last two seasons, respectively. 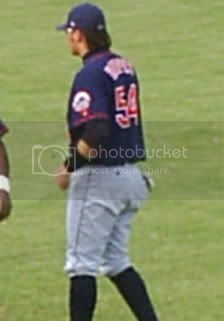 A high school draftee, Sing has been in the minors since 1999, but his last two seasons have reignited his prospect status. After a strong AFL season in which he hit .409/.475/.557, Howard was identified by Baseball America as having the "biggest buzz" heading into this year's Rule 5 draft. Throughout his three-year minor league career, Howard has been a model of consistency, logging On-base Plus Slugging percentages (OPS) of .756, .774, and .774 as he advanced through each level of the minors. He's a line drive hitter with occasional power, and since he plays both 2B and 3B well, BA labeled him as the best overall position player available in the draft. 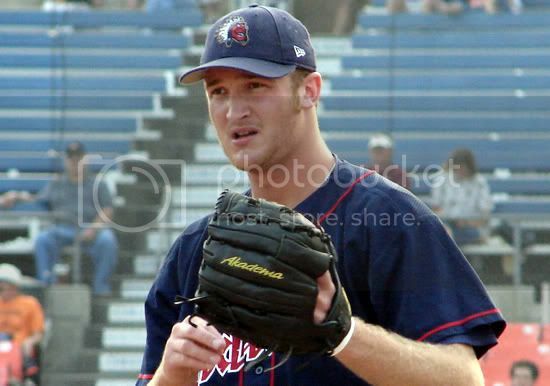 RC saw Howard throughout the 2004 season, when he played for the Potomac Cannons of the Carolina League, but shamefully, we didn't pay any attention to him. However, since the Royals are looking for both a 2B and a utility infielder, Howard is as safe a bet as any to be selected by the Royals. Uggla is a strong kid. Boeve might be the most attractive option available in the outfield, as he has decent speed and plays a fine right field. 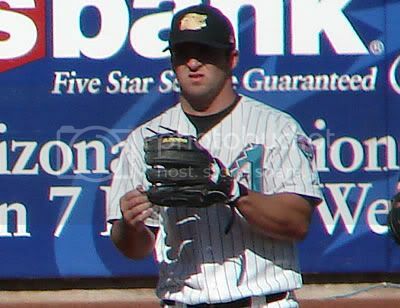 Boeve burst onto the scene with 28 HR at Hickory in 2004, and in 2005, he was selected as a Carolina League All-Star with a line of .313/.419/.538 before his promotion to AA. As much as we've seen Boeve play, it's embarrassing that RC doesn't have a photo for you, and we apologize. RC figures Boeve is a pretty good bet to be picked up by someone, although we doubt it will be the Royals. And frankly, we dispute that 216 lbs...he looks much smaller than that in person. Kouzmanoff sports a great beard...but that's probably not a good enough reason to select him. RC has always liked this photo we took back in September. Harper is another potentially intriguing option at 1B. In his five professional seasons, he's taken the grand tour of the Mets' minor league system, and despite some injuries, he's always hit, albeit with little power. 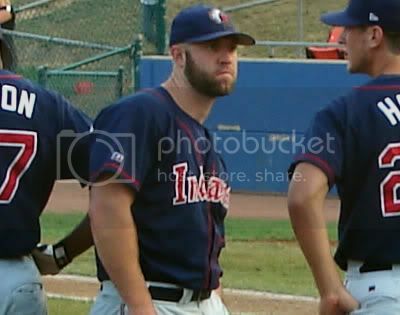 However, at a stop in the Florida State League in 2004, Harper finally began driving the ball with authority, and he carried that over into 2005, when he slammed 36 HR between A and AA. Yes, he had already logged significant time at both stops prior to last season, but 36 homers is still pretty impressive, although he did also strike out over 140 times. Odds are that Harper is staying put, but just to give you as complete a list as possible, we decided to include him. Here's a crappy photo of him we took with our old camera. And oh yeah, we also dispute that 180 lbs...He looks much bigger than that. we wouldn't even have a photo of him. That concludes our report. We figure a few of these guys will probably be selected, even though we doubt the Royals will take any of them. Among those listed, Howard probably has the best shot at getting taken by the Royals, followed by Mulhern, but that's nothing but pure speculation. As for us? We'd roll the dice on Mulhern, but that's likely because we're biased after seeing him go 6-for-9 with three dingers and four walks. RC, What are your thoughts on Byrd being offered more money and years, but not choosing to come to K.C.? I hate to see Baird spend money just to say they have the payroll, when maybe we could put up with one more "rebuilding" year, and have even more to spend on better free agents when we might be closer to contending anyway. Unless some great trade falls on Allard's lap, I'd like to see him take Howard, then bring a couple cheap free agent 2B's to spring training. Bring in some risky guys with strong upside like Mark Bellhorn, and Miguel Cario and let them all fight it out for the starting job. A 'spaghetti' approach, throw a lot of guys against the wall and see who sticks. Similar to what Theo Epstein did in boston.